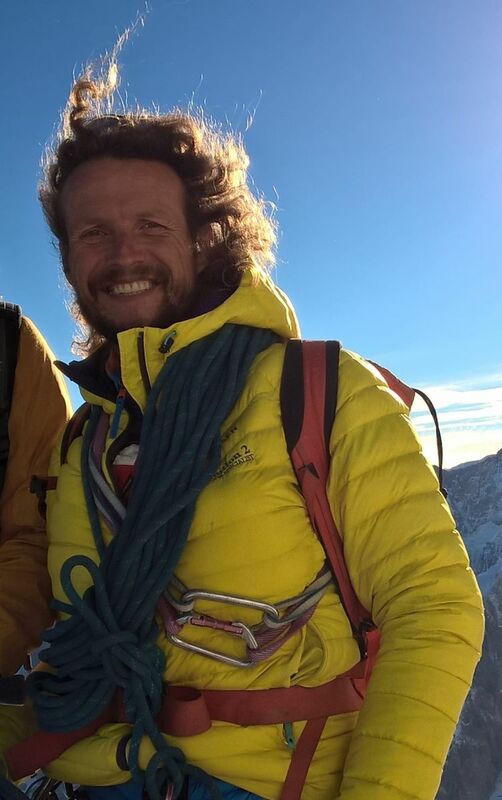 Climbing constitutes to being a complete mountaineerer, as well as being a sport on its own, with intense pleasure, surpassing oneself and a taste for adventure. The leading role is you and the rockface is your scene. Words cannot describe the emotions because climbing speaks for itself. 3 hours of climbing of the Gaillands rockface, whether beginners, experienced, children or adults. There are various itineraries to suit every level of climber. Even if you will be just a spectator, Les Gaillands is an idyllic spot for those who wish to lay back and watch others make the effort! 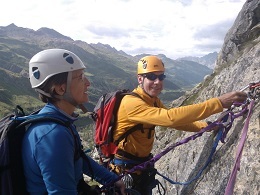 Responsibility is the key to climbing for oneself and others, the goal of this programme is to establish every role to be a complete climber, knowing how to read the terrain, finding the suitable itinerary, leading, abseiling etc, all under the supervision of the guide. 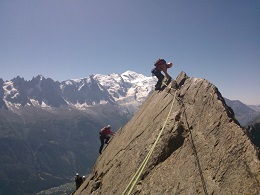 Multiple choices are available in Chamonix. On the Mont Blanc side, with its granite slabs and fissures and on the opposite side of the valley, Les Aiguilles Rouges "Red Needles", named after its coloration. Also in the vicinity, the Pre-Alps with their limestone rocks and the Italien granit for preference when the weather conditions are not so favorable on the French side.